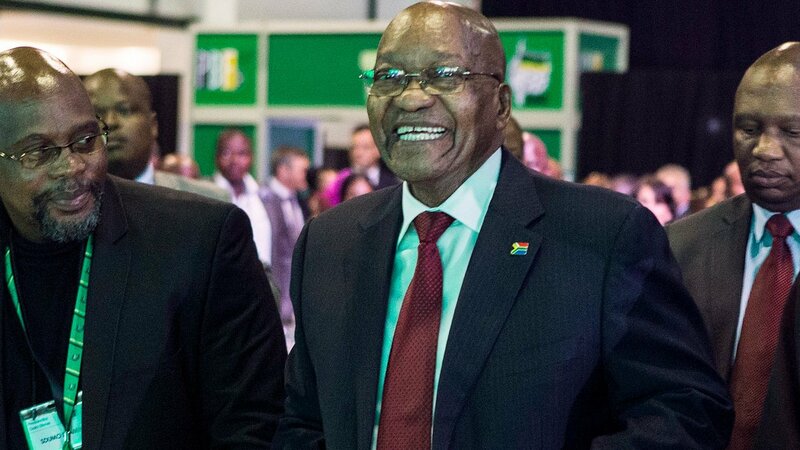 Media captionWhat should advice should South Africa’s ruling party take on board? South Africa’s governing African National Congress (ANC) is preparing to choose a new party leader to succeed President Jacob Zuma. The main candidates are the current deputy president, Cyril Ramaphosa, and former cabinet minister Nkosazana Dlamini-Zuma, President Zuma’s ex-wife. The tense leadership battle has raised fears that the ANC could split before national elections in 2019. President Zuma can remain head of state until those elections. Whoever becomes the new ANC leader is likely to succeed him as president of the country. As delegates gathered for the four-day conference in Johannesburg, Mr Zuma, who faces multiple corruption allegations, has urged the party to unite behind the eventual winner. The leadership contest is expected to be a close one, with legal challenges a possibility. The ANC is still the dominant political force here but the party itself bluntly admits to “looting”, “infighting” and a loss of public trust. Many here blame President Zuma. Only this week, the High Court condemned his behaviour as “grossly remiss”. If Mr Ramaphosa loses, the party could split before elections in 2019. Foreign confidence in South Africa’s struggling economy would almost certainly be damaged in the short term. The larger question is whether, after 23 years in power, the ANC is in terminal decline, and what that might mean for South Africa’s stability and its future. President Zuma is backing his 68-year-old former wife, Ms Dlamini-Zuma, a veteran politician in her own right who has been critical of the enduring power of white-owned businesses. Mr Ramaphosa, 65, has spoken out strongly against state corruption and has the backing of the business community. Recent news that he had a modest lead in the polls was quickly reflected by a rise in the financial markets. President Zuma, 75, has been the focus of much controversy and he has survived several votes of no confidence in parliament. He faces numerous corruption allegations but denies any wrongdoing. More than 5,000 delegates are taking part in the four-day ANC elective conference at the Expo Centre in Johannesburg. The first major engagement for the new leader will be the ANC anniversary celebrations on 8 January. The ANC has governed South Africa since the first democratic election more than 20 years ago. Kenya: Is the interest rate cap coming off?